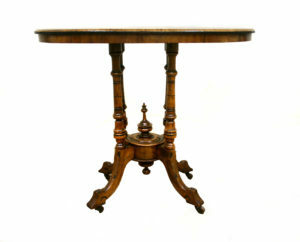 An Edwardian walnut side table. 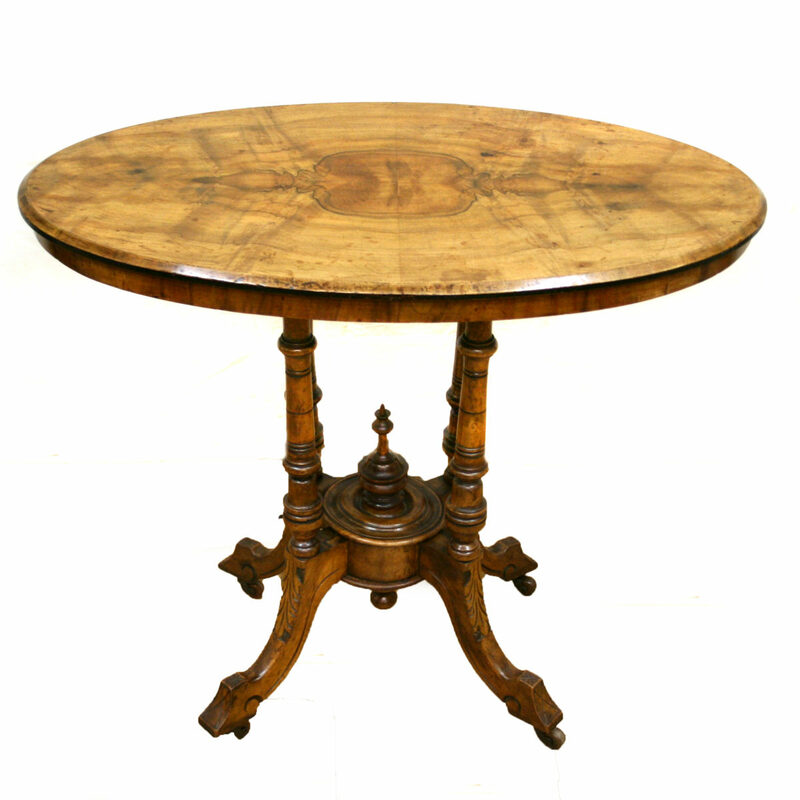 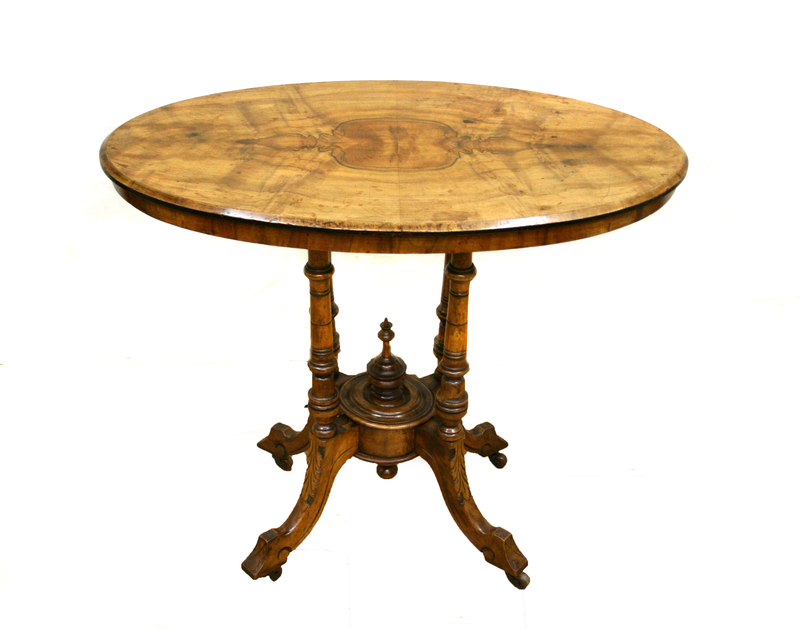 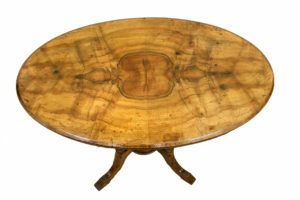 The highly figured oval top is raised upon a quadriform turned column base with out-swept carved legs. 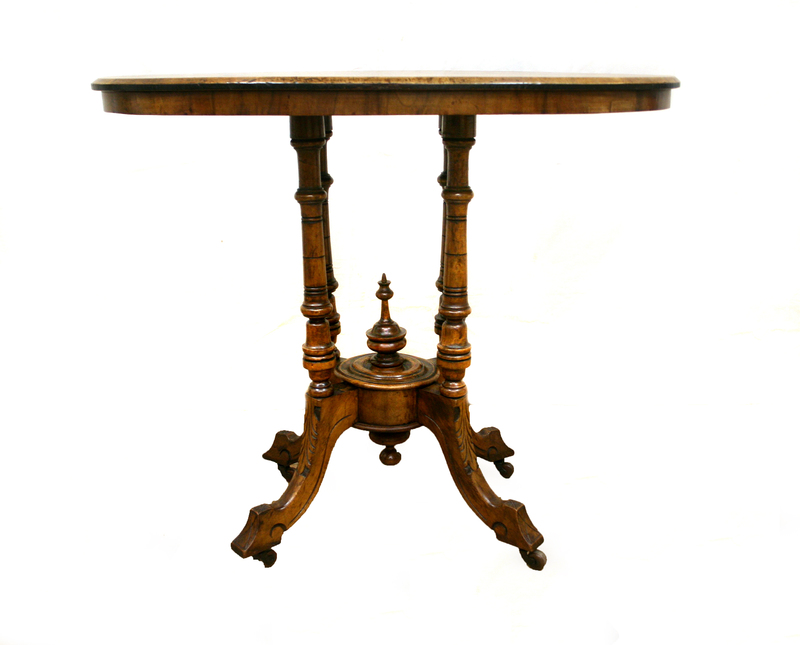 These terminate in castors.